Available in a classic glossy white finish, this cupboard is sure to enhance the looks of your kitchen or laundry. While soft closing doors and drawers enable smooth and noiseless operation, the cupboard has a reversible door – so you can choose to have a right handed or left handed door. 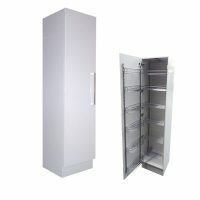 As with all Alpine Cabinets, this pantry cupboard exhibits superior workmanship. 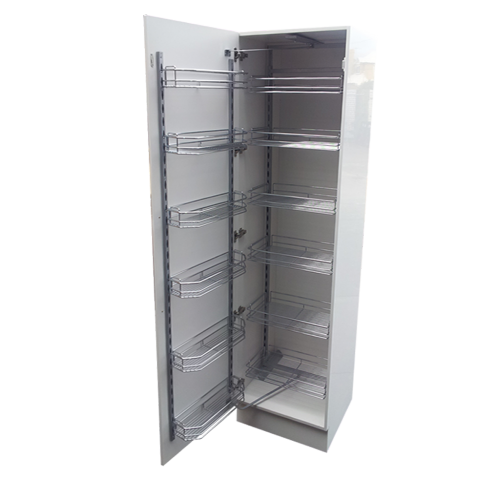 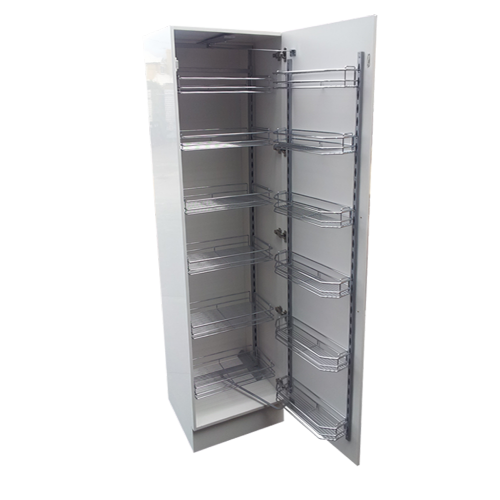 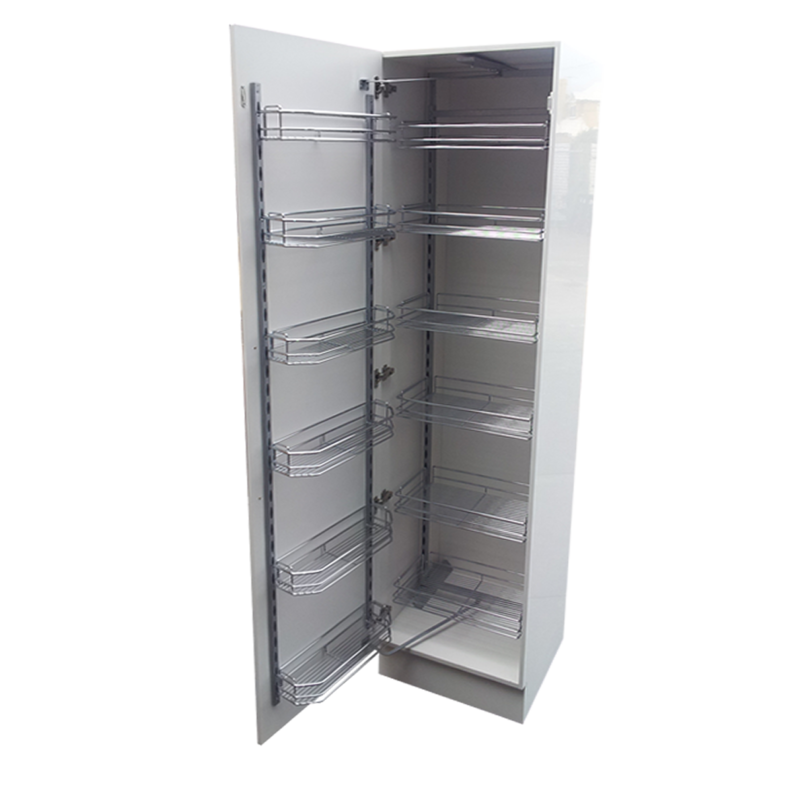 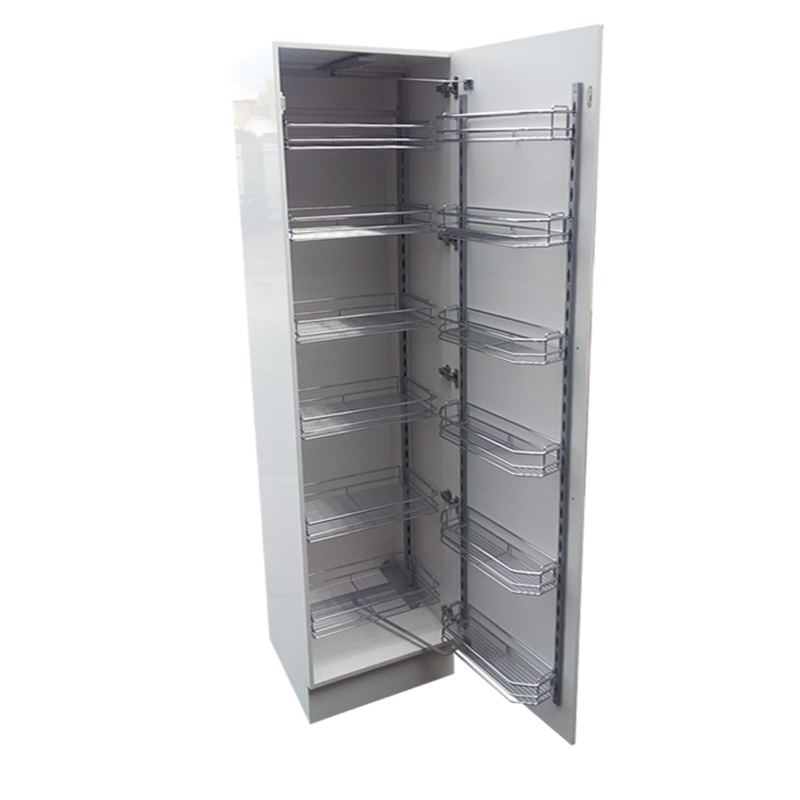 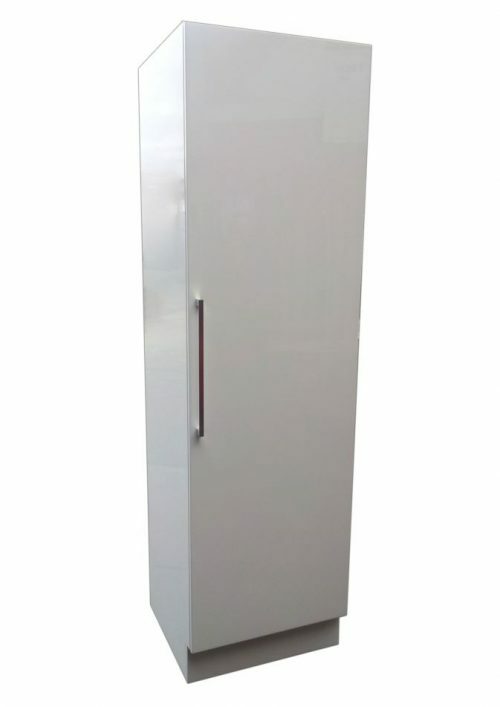 An extremely durable unit, this cupboard is designed to withstand years of heavy usage. 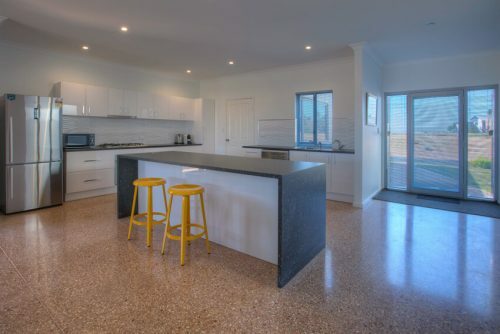 The smooth and scratch resistant surface is also very easy to clean. 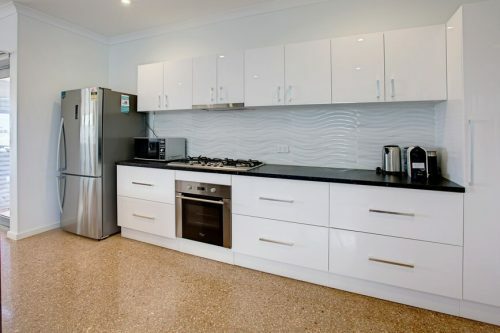 Simply run a damp cloth over it and wipe dry to keep it looking like brand new. 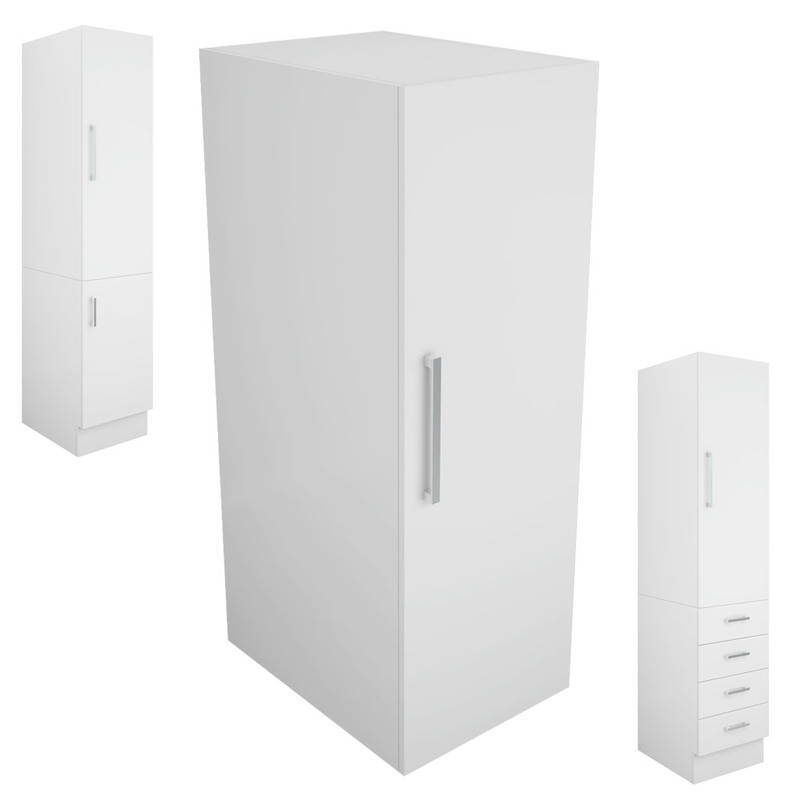 Add a touch of functionality and style to your kitchen or laundry with this 60cm Alpine Cupboard. 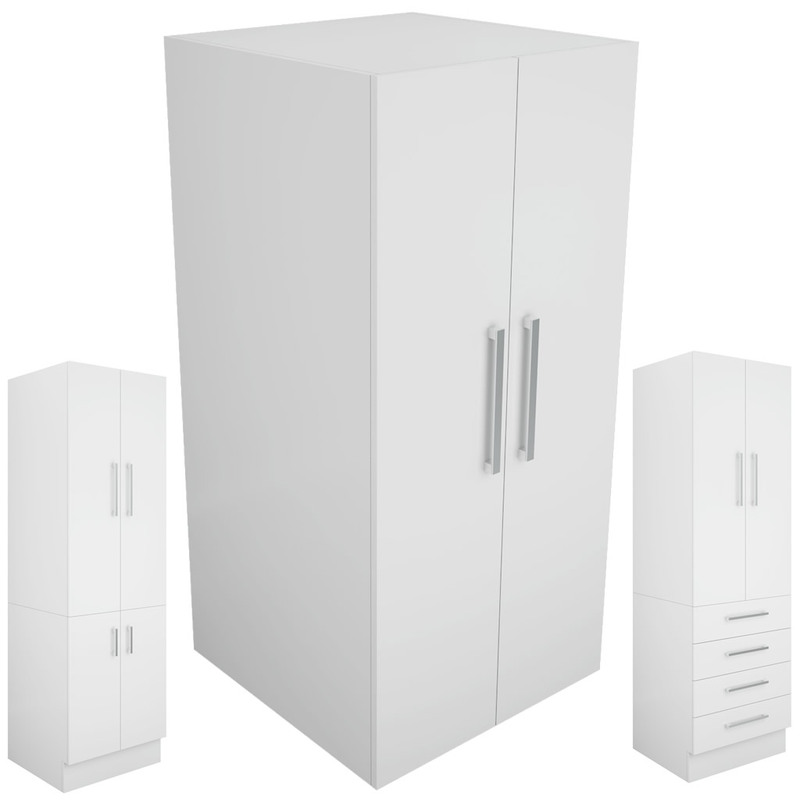 Buy it today at an unmatched price – only from Ross’s Discount Home Centre!